The average American farmer is nearly 60 years old. For every farmer and rancher under the age of 25, there are five who are 75 or older, according to Agriculture Department statistics. Oregon, though, is bucking the trend. It's one of the few states in the country where the average age of farmers has actually started to decrease, thanks to efforts by the US government and local organizations like the Small Farms Program at OSU and, one of my favorites, Friends of Family Farmers. Through mentorships, support networks, education and advocacy, FoFF is working to promote and protect socially responsible farming in Oregon. 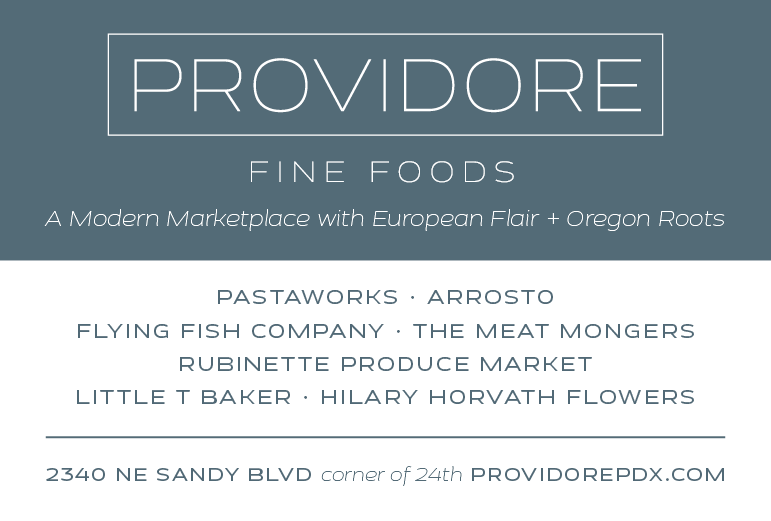 It's throwing a fundraising concert on Sat., Oct. 11th, showcasing local bands, foods sourced from local producers and stories from Oregon farmers sharing the challenges and triumphs of farming in our region. 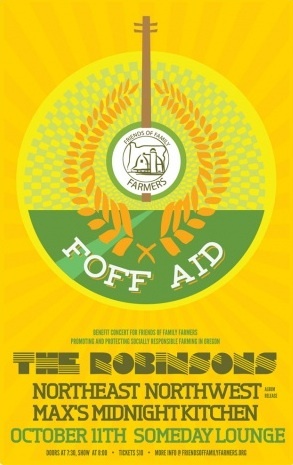 Details: Friends of Family Farmers Aid Concert featuring The Robinsons, Northeast Northwest and Max's Midnight Kitchen. Sat., Oct. 11, 8 pm; $10, tickets online (21 and over). At Someday Lounge, 125 NW 5th Ave. 503-759-3276. Coming up on the next episode of Portlandia: Carrie and Fred bike to their neighbors' urban farm where they take a class on how to espalier a fruit tree. Of course, Fred nearly lops off Carrie's arm—he swears it was just an accident—but she opts to play it safe and move in with the neighbors where she finds a new life tending to chickens and turkeys, gathering eggs and leading children on tours. 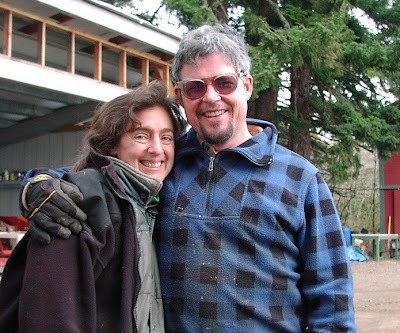 Except for the Carrie and Fred part, this is exactly what you'll find at Zenger Farm, a 27-acre working farm in Southeast Portland with a mission to educate Portlanders about food and farming through hands-on classes, tours and a CSA. It also has an innovative garden program for immigrant families and helps food stamp recipients put fresh, local food on their tables. 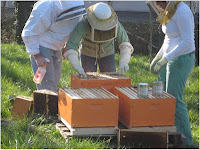 They're having their annual Farm to Table Dinner and auction on Sat., Oct. 20th, and you can come help support this terrific (and very Portland) urban farm. Details: Zenger Farm Annual Farm to Table Dinner and Auction. Sat., Oct. 20th, 6 pm; $100 ($35 tax deductible), tickets online. University of Portland Bauccio Commons, 5000 N Willamette Blvd. 503-282-4245. Update: The dinner has sold out, but contact them to get on the list for next year! My dad's father came to this country from Germany in the early part of the 20th century, so despite the fact that my dad preferred meat-and-potatoes to sauerbraten-and-cabbage, she would on occasion feel that she should feed him food from the fatherland. To my mother, who was raised in a tiny town in far Eastern Oregon, that meant dumping a jar of store-bought sauerkraut into a pot with a package of hot dogs, heating it up and calling it dinner. When I eventually made my way to France, I discovered the joys of choucroute, the long-braised sauerkraut-and-meat dish that bore no resemblance to those childhood dinners. 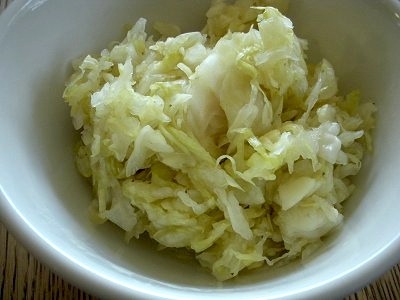 These days there's hardly a foodie household in the Northwest without its own crock of shaved cabbage bubbling away in some dark nook. If you've been pining to try your hand at home fermentation, Cathy Smith, whose Curious Farm pickles, kimchi and other preserved products you've become addicted to at the Beaverton Farmers' Market or on New Seasons shelves, is teaching a series of classes on making sauerkraut, the easiest of easy home canning projects. And I can guarantee you'll be a convert from store-bought. Details: Learn to Make Real Sauerkraut with Cathy Smith of Curious Farm. Classes on Oct. 23, Nov. 6 and Nov. 13; 6-9 pm; $75 includes equipment and ingredients. Preregistration online or by phone. At Curious Farm on NW Leahy Rd. 971-248-0717.